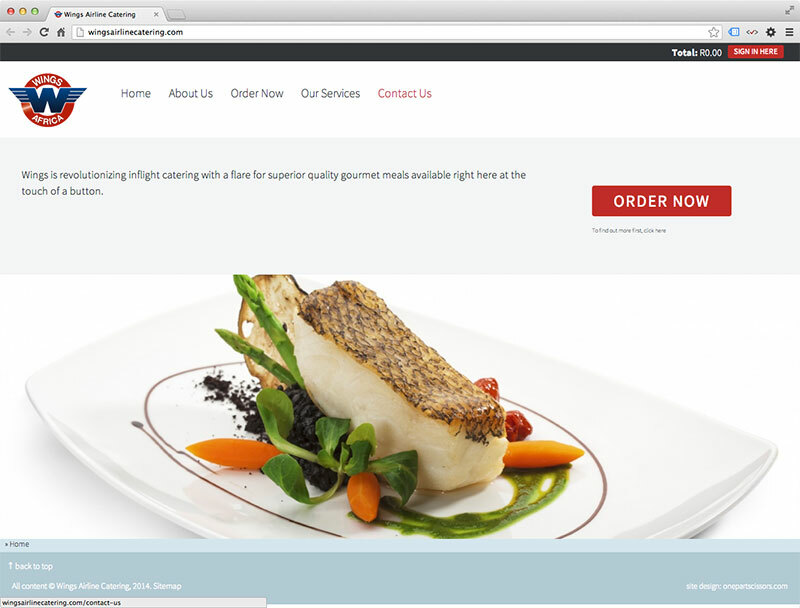 One Part Scissors has launched a radical redesign on the Wings Airline Catering website. 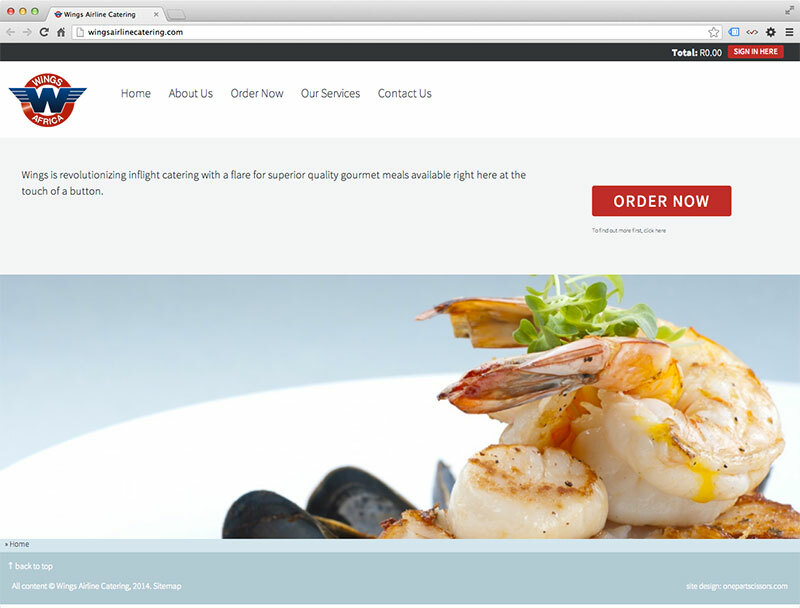 The new website has a clean, styling, modern theme, and features an online ordering system that is extremely easy to use. The website features, large, appealing images of the style of food that Wings sells, and the text is concise and to-the-point. 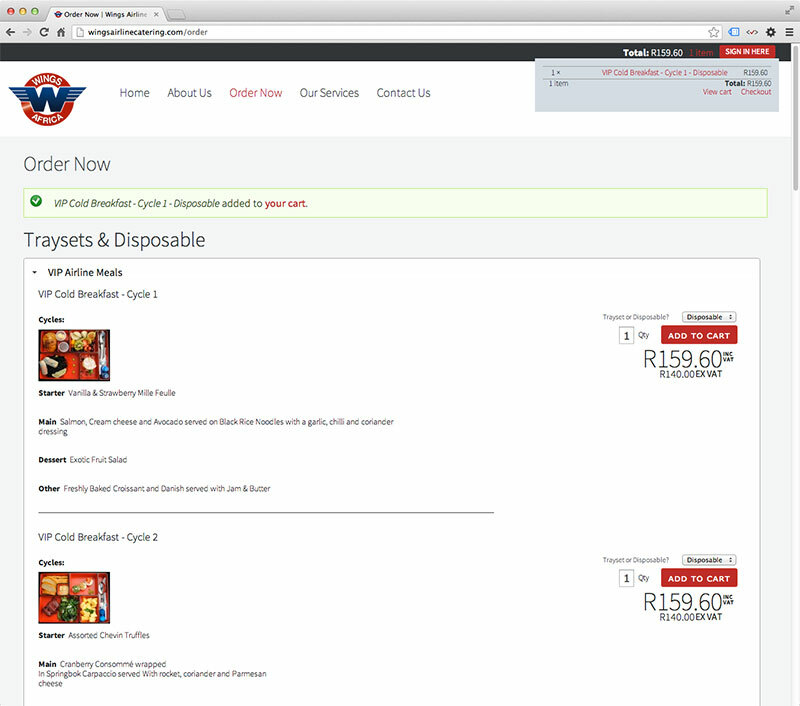 The ordering system is a one-page accordion style view which presents the products and allows you to add them to your order basket. 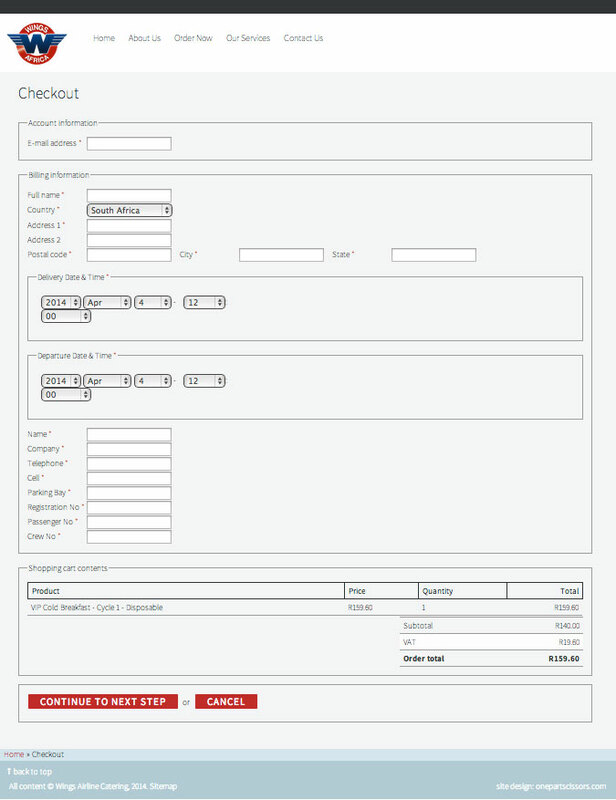 Clicking through to checkout presents another simple, single-page form to complete with your company details, and the order is placed and sent to Wings for processing. The website is Responsive, so it displays correctly on mobile devices such as iPads and iPhones, an increasingly importanty platform for web browsing. 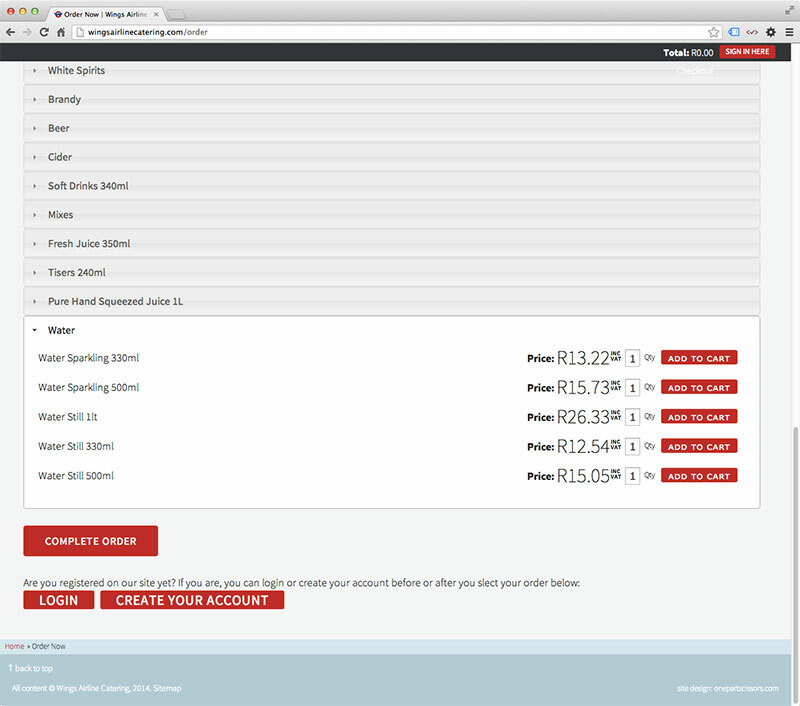 Read more about Responsive design here. 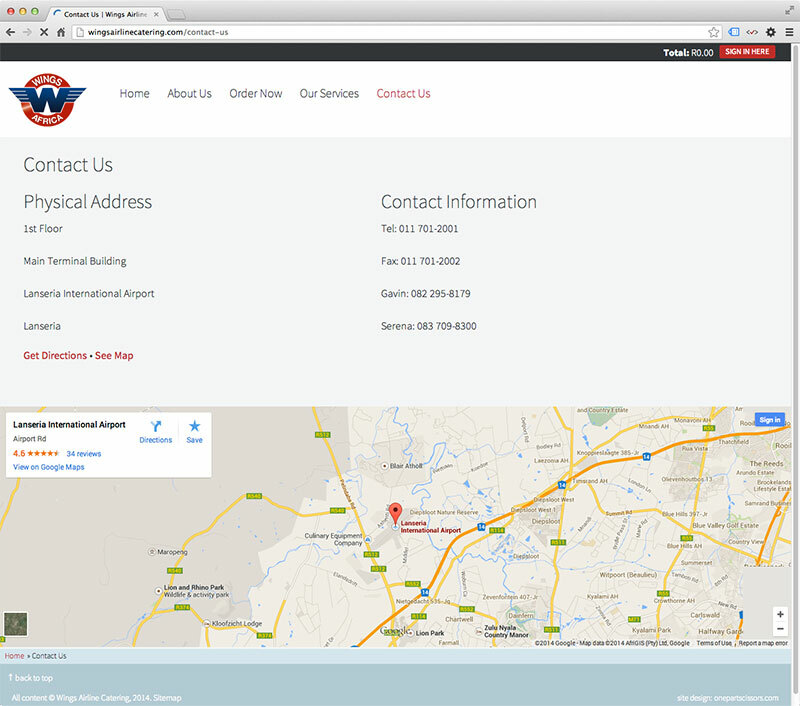 The contacts page features a large, appealing map to Lanseria International Airport, where Wings is situated.